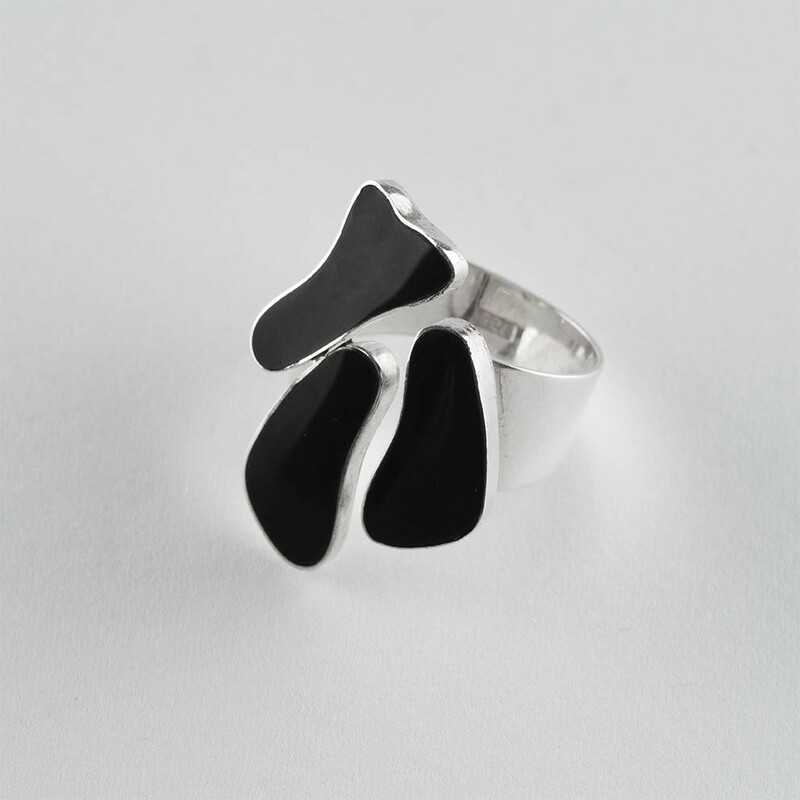 Elegant piece from Womens rings collection - Black Shell Footprint ring is a unique jewelry for women. Embrace this sterling silver ring and display an epitome of royal glamour within no time. A rarest of rare finery from Jewelry designs is up for sale now only on ArtYogi. Real beauty of s... Read more. Elegant piece from Womens rings collection - Black Shell Footprint ring is a unique jewelry for women. Embrace this sterling silver ring and display an epitome of royal glamour within no time. A rarest of rare finery from Jewelry designs is up for sale now only on ArtYogi. Real beauty of silver jewelry personified by the experts just for you.